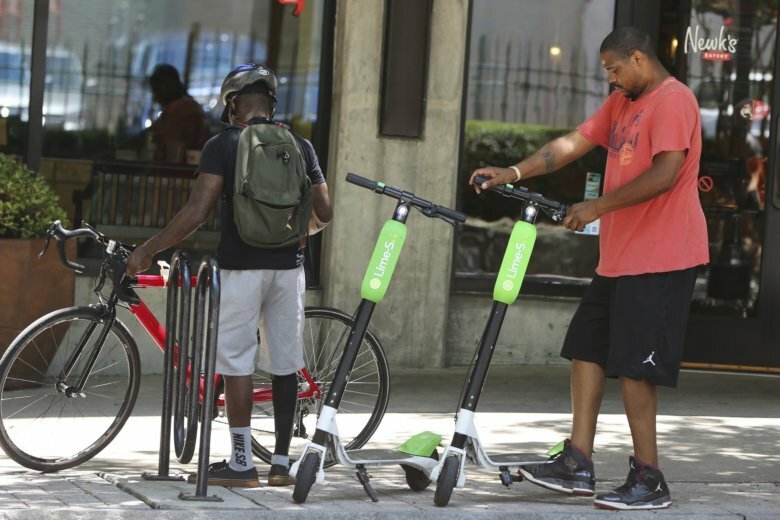 WASHINGTON — More than 1,000 people in the past two years have been injured while riding dockless electric scooters that have popped up in D.C. and in most major U.S. cities, according to a new study by Consumer Reports. “We contacted hospitals in several dozen cities,” said Ryan Felton with Consumer Reports, a nonprofit group that provides product ratings and reviews. The study examined not only hospitals but also public agencies, such as police departments. There have been widespread safety concerns related to the e-scooters made by companies such as Lime, Bird and Skip. The scooters have two small wheels and can get up to around 15 mph. “These are really injuries waiting to happen,” Dr. Robert Shesser told WTOP in an October interview. He said the District has seen a “large number of upper extremity injuries” since the scooters arrived. In September, a 20-year-old Lime scooter rider died when he was struck and dragged by an SUV in the Dupont Circle area. “It could just a broken bone, but some of the doctors we spoke to said they’ve treated patients for some serious debilitating injuries,” Felton said. Although Consumer Reports uncovered 1,500 injuries nationwide, researchers said the actual figure is most certainly much higher than that. The scooters are so new that many hospitals and emergency rooms are not able to accurately count specific scooter-related incidents. “About half the hospitals we spoke to said that they don’t actually have the capability to track the injuries at this point,” said Felton.